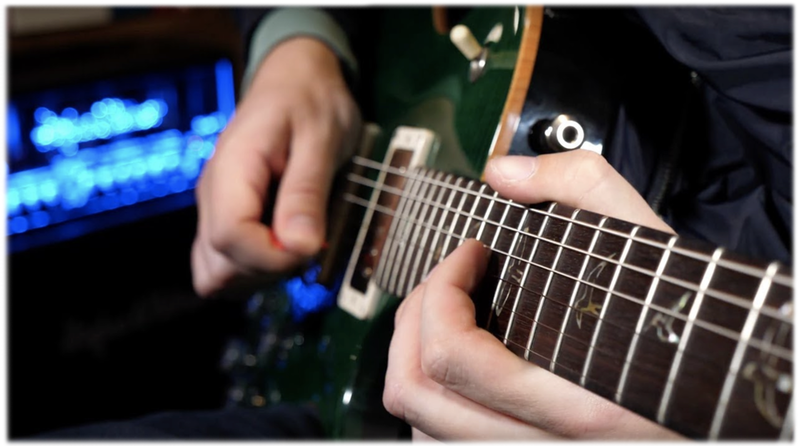 Guitar Super System is the premier online guitar education platform, featuring world-class instruction, professional cinematic resolution, and a variety of styles and approaches to help you reach the peak of your guitar-playing potential. What's included in a subscription to Guitar Super System? Concepts extracted directly from Berklee College of Music, presented in an interactive, effective, and fun way! Including high-quality backing tracks and downloadable PDF resources, the sole purpose of this curriculum is to help you find your own voice on the guitar. Various genres, eclectic approaches, and basic fundamentals allow me to tackle the extremely subjective topic of songwriting. I'll provide the tools you need to express yourself without imposing my own musical tastes too often. After all, not everyone likes electronic-jazz-djent-core-fusion. Featuring a variety of methods and approaches drawn from pioneering guitar players of today, you'll not only learn and execute techniques like sweep picking, legato, tapping, and more–you'll understand how to actually use them in your own guitar playing. If you're completely new to the guitar, never fear! You'll find everything you need to begin your journey toward the guitar mountaintop. Even if you've never picked up the instrument, dabbled here and there, or just need a refresher, Guitar Super System has you covered. 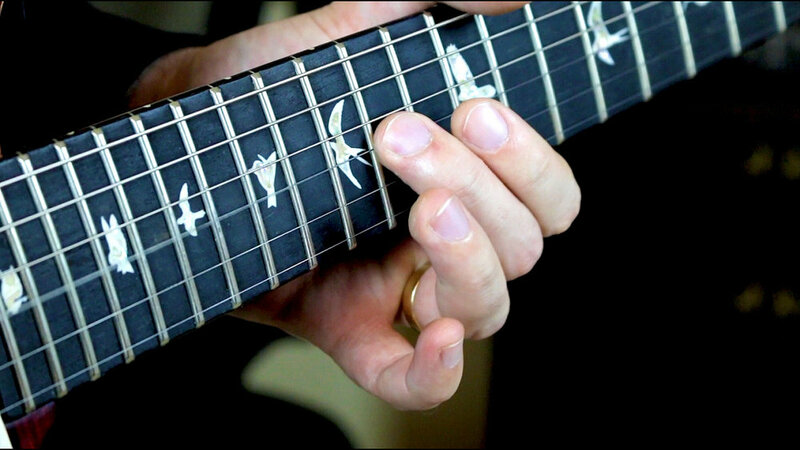 It's one thing to understand what notes are in a scale or arpeggio, but another to actually know how to use them. If I could sum up the goal of Guitar Super System in three words, I'd say: Find your voice. As you progress, you won't just learn the "how"–you'll learn the "why". Join fellow Guitar Super System students in an exclusive message forum to share experiences or ask questions. You can even take part in private live streams to ask me questions directly. These streams are saved for future reference and announced in advance. Will I like Guitar Super System? I'd bet my entire guitar collection you'll enjoy it. But if you’re not satisfied for any reason you can easily cancel your subscription. Read the full refund policy here. Does my subscription include tabs or other resources? Yes. There is tablature and standard notation materials when its relevant, along with backing tracks for you to apply your learnings over. All audio and PDF resources are downloadable for offline practice. Who is Guitar Super System for? There’s something in here for everyone, and I’ve spent over 15 years playing and teaching guitar to develop a highly effective educational method. A guitarist at any level could take something away from Guitar Super System, especially if they are trying to improve their music theory, technique or improvisation. I've built one of the most successful online guitar education companies in the world, with over 40,000 students enrolled in my courses and nearly a million followers subscribed to my channels across social media. I have my B.M. from the prestigious Berklee College of Music and have received sponsorships from PRS Guitars, Universal Audio, Boss, Ernie Ball Music Man, Gibson USA, Dunlop, and dozens of other respected brands in the music industry. How do payments work? Is this secure? Payments are processed with Stripe, which uses industry-standard security to keep your payment information safe. If you don’t have a credit or debit card, we have a PayPal method set up as well. No problem. There's an entire area of Guitar Super System dedicated to those who don't yet know their way around the guitar. Once you're comfortable on the instrument, you have a variety of great directions to move in depending on what kind of guitar player you want to become. Why NOT just use YouTube to learn guitar? The reason has two parts: 1) your time is valuable, and 2) my instruction is based on the most successful and credible system there is. YouTube videos may contain great information or feature great guitar players, but they also may not. On top of that risk, the structure of every Guitar Super System lesson is in place to optimize your learning and understanding. With Guitar Super System, you receive accurate information presented in the right way in the proper context. Still not sure if Guitar Super System is right for you? Take a look around the site and get a feel for the content. There are some things you can’t access without signing up, but you can see a “table of contents” view of everything. You can also send a message with any questions or comments you have using the contact form below. Thank you! You’ll receive a response in the order your message was received. My name is Tyler Larson (born May 30, 1989) and I'm a musician of many influences. With over fifteen years experience playing the guitar, I've appeared on several studio albums, performed with many diverse artists, and studied with some of the most renowned guitarists on the planet, including Joe Stump, Dave Fiuczynski, Tomo Fujita, Dave Tronzo, Jon Finn, and others. After earning my B.M. Degree from the legendary Berklee College of Music, which includes alumni such as Steve Vai, John Petrucci, Al Di Meola, and Pat Metheny, among others, I began my career as a professional musician. In 2015, I founded Music is Win, which has carved out a deep niche in the music scene, with my videos amassing over 100,000,000 views to date and my audience rising to hundreds of thousands of subscribers across social media. I've received endorsements from PRS Guitars, Peavey Electronics, Boss, Gibson USA, Dunlop, Universal Audio, Hughes & Kettner, Rode Microphones, Walrus Audio, Orange Amps, Danalectro, NUX FX, Mooer Audio, Eastwood Guitars, Wampler Pedals, Framus, ZAOR Studio Furniture, Source Audio, Keeley Electronics, TC Electronic, Orangewood Guitars, Empress Effects, Strymon Engineering, Adam Audio, Bullhead Amplification, Re-Axe Products, MONO Cases, Bugera, and many other esteemed companies. I've been featured in various online publication, including Guitar World, Guitar Player Magazine, Ultimate-Guitar, and others. What is Music is Win? Music is Win was founded with the mantra Guitar Players Will Get It. Featuring a unique blend between education, humor and entertainment, Music is Win is the premier platform for guitar players who want to learn, laugh, and interact with a community of like-minded musicians. While Music is Win currently only caters to guitar players, the grand vision is to expand the brand to other instruments while maintaining the spirit that has made this company one of the fastest growing and most popular places for musicians on the internet. What is Guitar Super System? Guitar Super System is the final destination for those on a quest for infinite guitar knowledge, featuring comprehensive lessons on everything you need to know about the guitar from music theory to technique to tips, tricks, licks, and everything in between. An entire degree's worth of higher music education is injected in this platform, along with a multitude of lessons based on genre-specific playing, stylistic approaches, and subjective advice on musicianship and creativity. There are currently hundreds of videos totaling over 100 hours of content, and the choice is yours how far you go. New content is being added weekly to the library of lessons based on feedback, general improvements, and what I feel would add value to Guitar Super System, so you'll always have something fresh to look forward to if you're hungry for more. A community forum for students is in place for questions, discussions and camaraderie, and I'll conduct occasional live streams to answer your questions in realtime, which will be announced in advance and available for playback afterwards. In short, Guitar Super System is the tool I wish I had when I was learning guitar, and it's something I use in my own daily practice to continue to hone my skills and become the best musician I can be.